TPC Wire & Cable Corp.’s Flat Festoon Cable has been specifically designed for use in festoon systems for power and control on cranes and hoists. 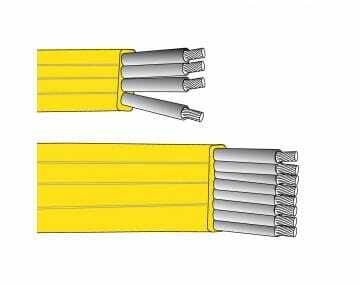 Cables can also be used where space is at a premium or where extreme flexing is a requirement, with a recommended bend radius of three to five times cable diameter. TPC’s Flat Festoon Cables are suitable for either indoor or outdoor applications operating at -40°C to 105°C. Please click the image to learn more about our flat festoon cable.